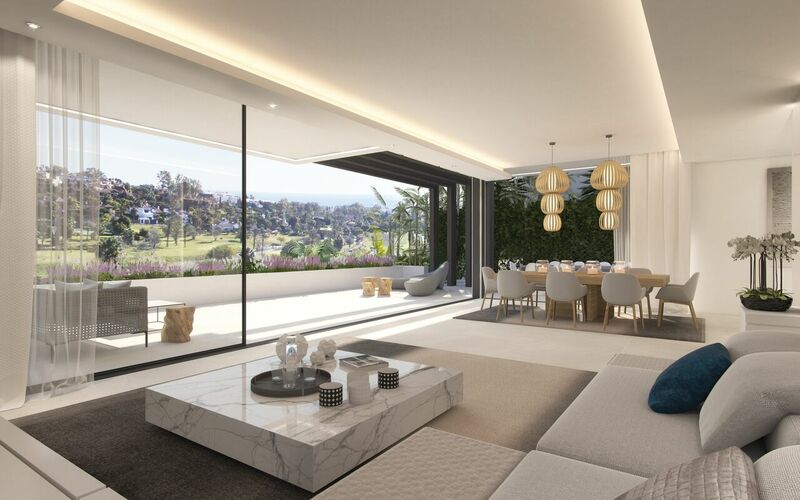 A new innovative boutique development of beautiful villas designed to Scandinavian standards that adapt seamlessly to the mediterranean lifestyle with mountain, golf and sea views. It is located in an enviable position in the heart of the New Golden Mile. This area of the coast is well known for its numerous golf courses including Los Flamingos Golf Club, Atalaya Golf & Country Club, El Paraíso Golf, Marbella Club Golf Resort, Guadalmina Golf among others. Leisure facilities are plentiful and this area of the coast is home to numerous luxury hotels, spas, beach clubs and marinas. Puerto Banus and Marbella provide a variety of choice for both shopping, fine dining, sports, recreational, wellness activities and entertainment for all the family. Easily accessible and only a short distance from Marbella and Puerto Banús, only 40 minutes drive from Malaga International Airport and close to San Pedro and Estepona. These villas are the ideal choice for a second residence on the Costa del Sol.